Is Cervical Disc Replacement Right For You? Degenerative disc disease, also known as spondylosis, is an extremely common condition that refers to the age-related decline of the discs between the vertebrae in the spine. You may also hear it referred to as osteoarthritis of the spine. Although it sounds frightening, it is actually a very normal part of the aging process. 1. To act as a shock absorber for the cervical spine, absorbing the impact from our day to day movements and the pressure we place on it. 2. To enable a wide range of movement in the neck. As we get older, these discs experience some wear and tear, which is largely a result of the stresses and trauma placed on it during daily – and unusual – activities. Advancing age also causes the discs to lose hydration, making them more likely to crack and tear. When this happens, it weakens the disc and increases the likelihood of further damage occurring. Unfortunately, as the cervical discs have no blood supply of their own, they cannot heal themselves. Therefore, treatment in the form of a cervical disc replacement is often recommended to patients who are suffering from the negative effects of degenerative disc disease in the cervical spine. What are the symptoms associated with cervical disc degeneration? - Pain in the neck, or that travels downwards into your shoulders and/or arms. - Stiffness in the neck. - Weakness in the shoulders, arms, hands or even legs. 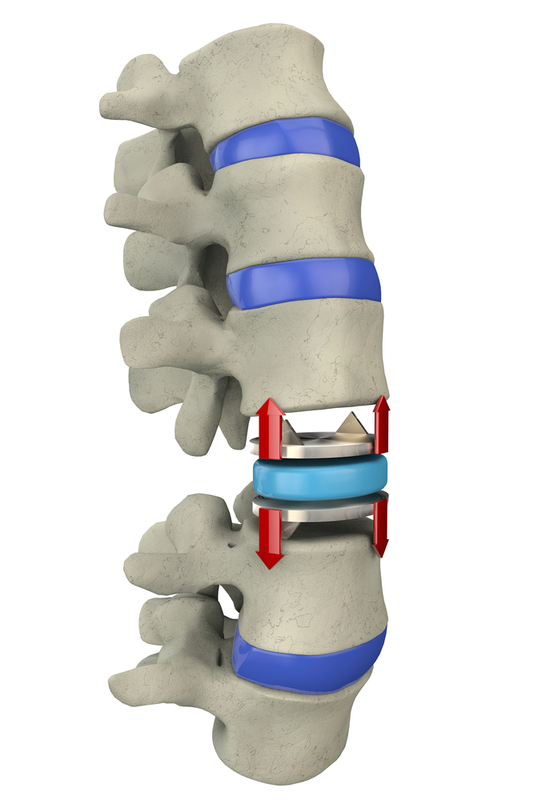 What is cervical disc replacement? Cervical disc replacement surgery does exactly what its’ name suggests. The process involves removing the diseased disk from the cervical spine and replacing it with an artificial one. This allows the patient to maintain a good range of movement in the cervical spine and prevents him from experiencing more pain and negative effects from cervical discs that have degenerated. Although cervical disc replacement is generally considered to be a very safe and successful surgery, it does not mean that it is the right choice of treatment for everyone. To ascertain whether or not cervical disc replacement is right for you, you will need to attend a consultation appointment with your surgeon. - Must be an adult with mature, good quality cervical spine bones. - Have tried a minimum of six weeks of non-surgical treatments which have either had no effect or exacerbated the condition. - Be experiencing a range of neurological symptoms including numbness, weakness, tingling and/or pain. - Have a good range of movement in the neck aside from the damaged disc. - Be otherwise fit and healthy. If you are interested in finding out more about cervical disc replacement, contact us and make an appointment at our warm, welcoming Scottsdale offices today.